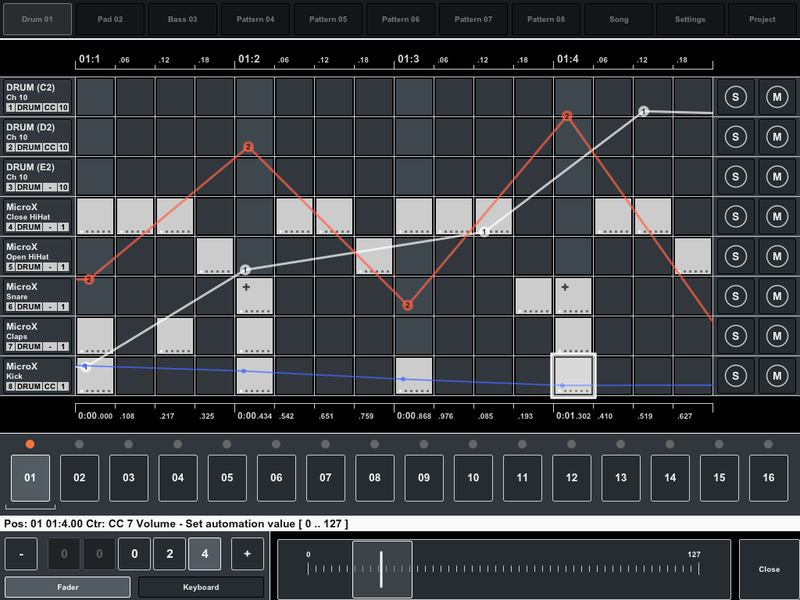 A week had passed since publication the first version of sequencer and I have a quite enough suggestions about new and useful features that I should be add to my app :) I agree to almost all of it. Actually, that write me happy fans it's interesting for me too. 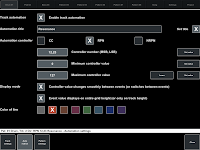 I really will try to do most of the requested features in upcoming versions. But I cannot make all of it at once. So please be patient and don't leave this app without your attention. 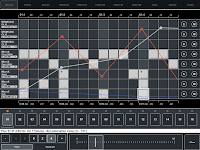 Selling of this app it's best support for me and future developing of my sequencer. Thanks to all who write me (and maybe in App Store) comments and suggestions! 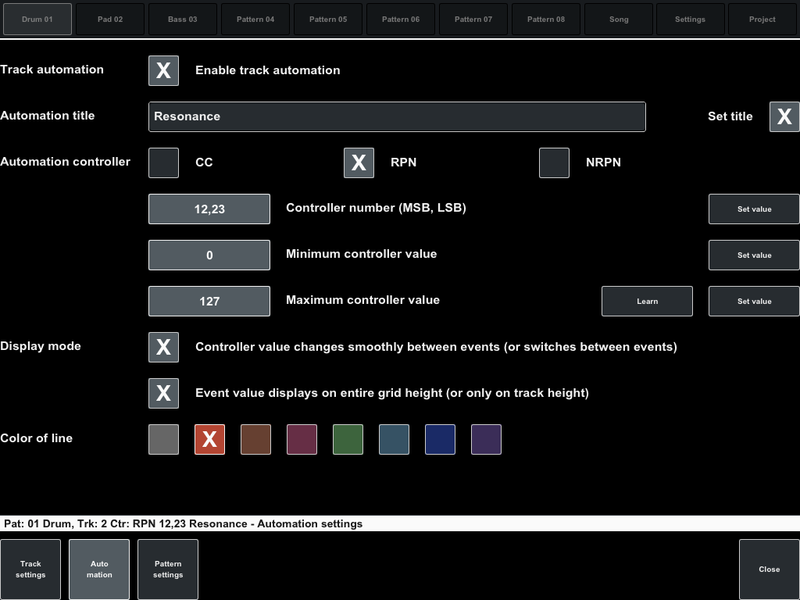 Sending CC/RPN/NRPN automation for tracks. 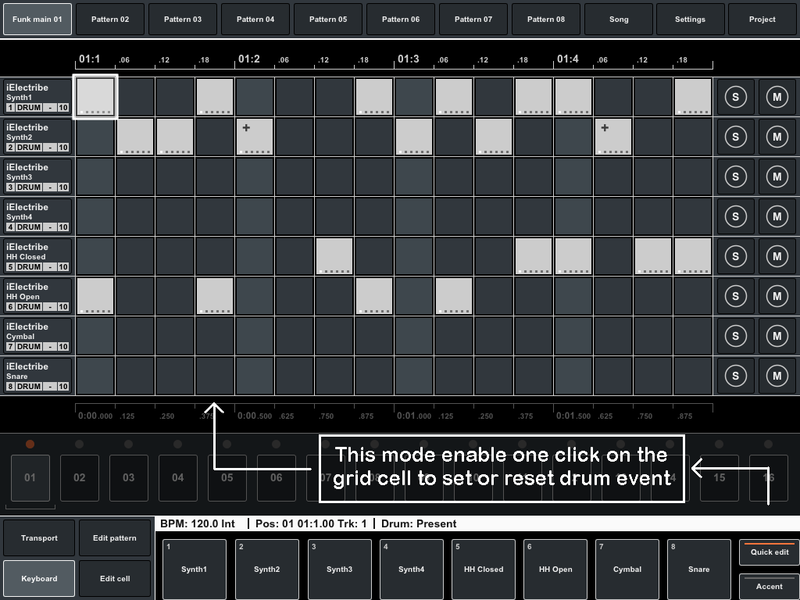 More quick and convenient way to create drum pattern. Velocity for the drum event (now it's only accented). Sending program change (and maybe other changing bank, pattern, program) midi messages at start pattern/song and at any other playback time. 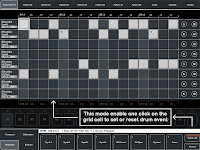 Import and export midi files. Increase song length (song pages). If you are interested in progress of this application, please write comments or use feedback form for questions or suggestions. Your attention is very important to me.